This book, the first of twelve volumes, launches the definitive English-language edition of Hugo Pratt's masterpiece, presented in the original oversized B&W format and with new translations made from Pratt's original Italian scripts. Frank Miller calls Pratt "one of the true masters of comic art." Long before the term "graphic novel" entered the popular lexicon - ten years before Will Eisner's A Contract with God - Hugo Pratt pioneered the long-form "drawn literature" story. Corto Maltese set the standard for all adult adventure comics in Europe. By the mid-1970s, Corto was the continent's most popular series and Hugo Pratt the world's leading graphic novelist. Hugo Pratt's peripatetic sailor was featured in a series of twenty-nine stories. The adventures of this modern Ulysses are set during the first thirty years of the 20th Century in such exotic locales as Pratt's native Venice, the steppes of Manchuria, the Caribbean islands, the Danakil deserts, the Amazon forests, and the waves of the Pacific. EuroComics is working closely with Patrizia Zanotti, Pratt's long-time collaborator, to present the complete Corto Maltese in a series of twelve quality trade paperbacks in Pratt's original oversized B&W format. 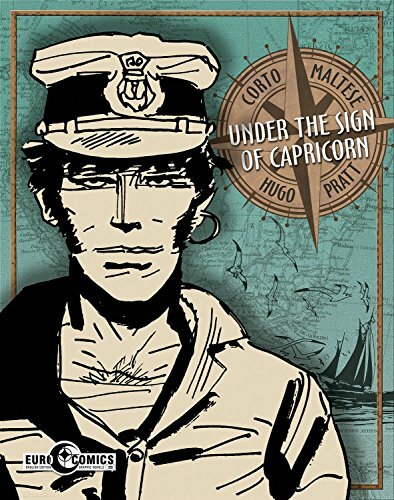 Corto Maltese: Under the Sign of Capricorn collects the first six inter-connected short stories Pratt created in France in the early 1970s: "The Secret of Tristan Bantam," "Rendez-vous in Bahia," "Sureshot Samba," "The Brazilian Eagle," "So Much for Gentlemen of Fortune," and "The Seagull's Fault."